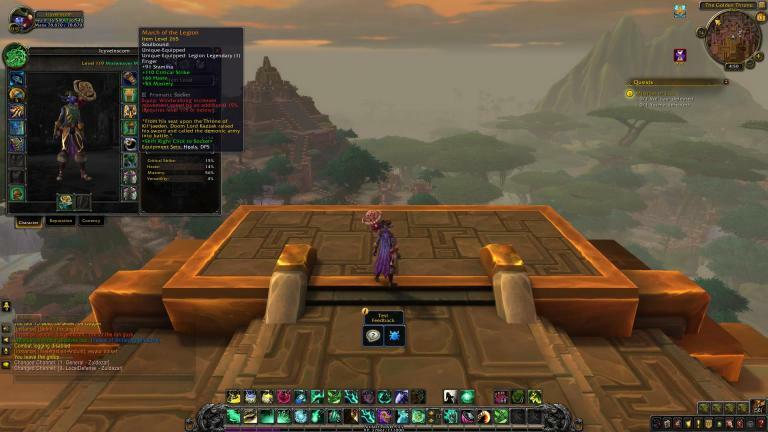 This week's Alpha Build 26433 added an interesting tooltip to Legion Legendary items and their effect will no longer work at level 116 or higher. If you're planning to use Legion Legendaries for leveling in Battle for Azeroth, you will be able to make use of their effects only until level 115. 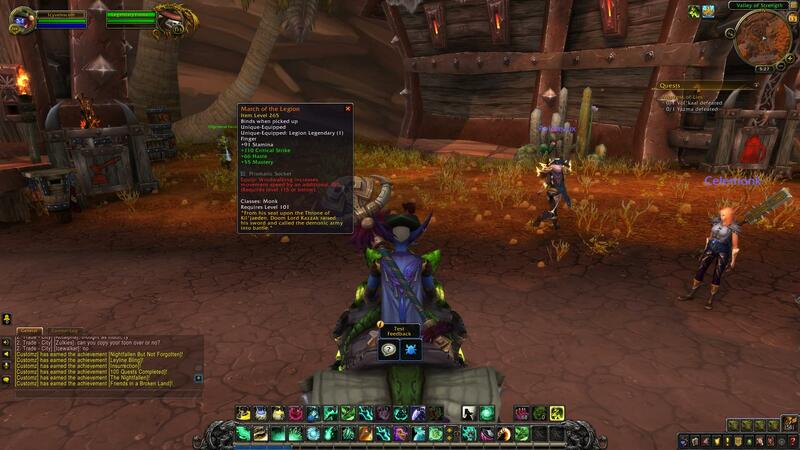 Reaching level 116 deactivates the effect of a Legion Legendary item. I suspect this has more to do with the current max level on Alpha, it would make more sense to have Legion Legendary items stop working at 120. Not really, stopping midways means you can use them to level up to a point,otherwise people with 2 legendaries have an insane leveling advantage over people who do not from 110 to 120. I guess we will be waiting on the Blue post while it only provides a bonus for the first half of the leveling then. How long did your gear last from WoD going into Legion? I'm guessing you replaced it well before hitting 106 so why should it be any different with legendaries or any other Legion gear? Set bonuses kept working and the legendary ring proc started to scale down, so, using your own argument, why should it be any different now? Blizzard doesn't want us using legendaries forever anymore than you used your tier gear or the legendary ring forever...or did you actually use your tier gear and that ring until you got to 110? Well, whether they scale down to unimportance or completely stop working, is there honestly a difference? And the ring was the ONLY legendary. How do you scale a plethora of different ones for every class with different effects on every ability? How do you scale a thing like the Whisper of the Nathrezim especially when the new Final Verdict talent is supposed to do the same thing? Is it a percentage decrease? When does it start? When does it end? Does it stop working eventually completely or permanently reduced to X percentage? Answered all those? Okay that's one Legendary, just from the Retribution Paladin list. I dont know how many there are total, but I think you have a WHOLE BUNCH left to piece through.